Yoga – A step towards enhanced fertility! This is one of the breathing techniques which involve inhaling from one nostril and exhaling from the other. This alternate nostril breathing has a calming and purifying effect on body. This breathing technique is characterized by producing humming vibrations which activate the human body. Relieves symptoms of stress and mild depression, anxiety, panic attacks, PMS and menopause. Lifestyle, the most vital factor everyone in the race is for. With the growing day to day needs and the objective of achieving more than what 24 hours has to offer, we are left behind with sedentary habits. Lack of physical activity, increased levels of stress and exposure to a not-so-healthy diet has led to problems ranging from small to big. Fertility is one important aspect greatly influenced by the lifestyle, to which stress is the major contributor. Anxiety, depression, guilt can significantly reduce fertility as well. Yoga, with not only its proven positive effects since time immemorial, also plays an important role in elevating fertility levels. This does not mean, one can completely rely upon yoga to overcome the major issues and replace the artificial reproductive technologies, but can simply practice it to make the body ‘conception-ready’. Cortisol is the adrenal hormone essential to regulate and maintain the levels of stress in the body, there by establishing homeostasis. The levels fluctuate whole day depending upon the levels of stress involved. A consistent increase in this level leads to a cascade of problems like impaired cognitive functions, thyroid issues, infertility etc. Yoga is a great way to beat stress and achieve peace of mind. Since yoga not only involves bodily movements, but also directs the breathing regime. The breathing techniques help reduce the levels of cortisol, thereby enhancing the chances of conception. Detoxification is process by which body removes toxins to maintain the normal metabolism. When this does not occur at specified intervals, the body might feel tired and sluggish which greatly affects the sexual drive. Practicing yoga helps detoxify the body since it helps relax the connective tissues and muscles. Immune system is the defense mechanism of the body, through which it keeps various diseases at bay. Impairment in this system affects fertility to some extent. Since yoga helps you find the inner solace it helps increase the number of white blood cells which fight against the bacteria and viruses. Some yoga poses reroute the blood flow to reach the ovaries increasing oxygenation, which in-turn plays a vital in easy conception. Also, if the woman is already undergoing ARTs followed by hormonal therapy, practicing yoga can elevate the effect of the hormones, thus aiding conception. 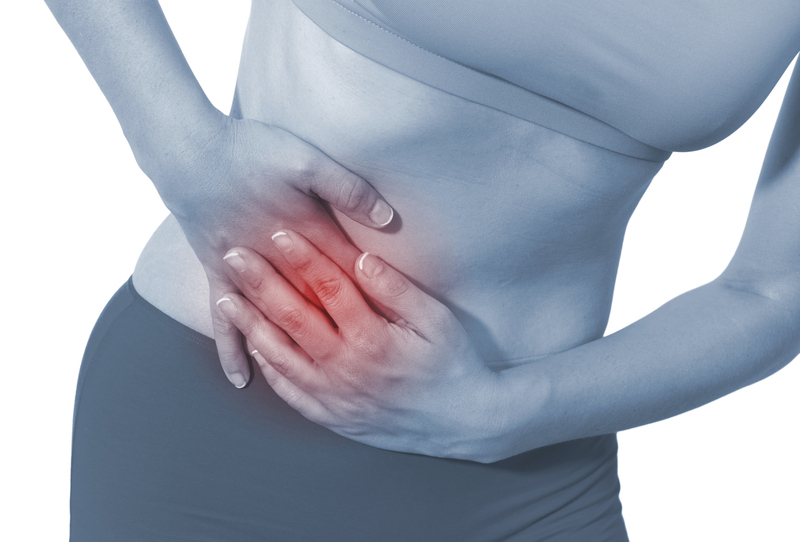 Endometriosis is the condition in which the uterus tissue lining grows outside of uterus. It is one of the major reasons for female infertility. For treating the issue of Endometriosis, you have to consume 4 tbsp of flax seeds, which were soaked overnight in about a cup of water. Next morning, just strain and drink the water on empty stomach. Do so for at least 10 days to see visible results. For this remedy, you have to consume the decoction of Daruharidra on an empty stomach for at least 3 menstrual cycles. Capsules of the same are available in the market too, but if you can get the fresh herb, then nothing like it. Doing so helps the uterus to gain strength for controlling bleeding, receives pain and also controls the abnormality in the cells. You can combine the same with some Lodhra [Symplocos racemosa] and Arjun [Terminalia arjuna]. 5 grams of Shavatri along with 5 grams of Vidarikanda - commonly known as Pueraria tuberosa and 3 grams of Arjun is suggested for this remedy. Boil all the herbs in about 50ml of cow’s milk along with 150ml of water till thickens up. Filter the same and drink every day till you experience relief. This is a very common ayurvedic medicine that is known to prevent and control bleeding. You will find it very easily in most ayruvedic stores. Just have 1 spoon on an empty stomach or with water. Buy the bark of Ashoka tree and then crush the same using a mortar and pestle or even in the mixer. Mix 2 spoons of the same in 1 glass of water and heat till it reduces to half. Drink the same twice a day to get respite from the bleeding and pain. You can either have 2 tablets of 250mg each of this ayurvedic medicine twice a day or mix 2 spoons of the powdered form with pomegranate juice/ cow’s milk and drink it for cleansing the reproductive organs. This is basically a medicated sort of wine that helps the uterus to get strengthen the organ. Mix 5ml of this along with 10 ml of water and drink it twice a day. It will take about 3-4 months to show results but in the long run, it eliminates the problem of Endometriosis completely. Triphala Churna is easily available in ayurvedic stores and is known as a mild laxative. Just mix this with a bit of water or any juice of your choice and drink daily. 1 spoon a day is known to cleanse the intestine and detoxifies the body, while clearing up the build up of these excessive cell growth.